You may have seen some of the jokes on social media, and I join you in being glad we "survived" this week's "snow" day. Deciding whether to close school for inclement weather is one of the most difficult decisions for a Superintendent - for me, it's right up there with balancing the budget and determining student discipline. When forecasters tell you "zero to two inches of snow and ice are possible," and you end up with zero, I count it as a blessing, but I understand it's always a hardship for many parents to miss a day of work and for students to miss a day (and a hot lunch) in our warm schools. Thankfully, this winter has been mild, so I was able to share the good news on Jan. 31 that we will be able to maintain a full week of February Break. Research shows how important our balanced calendar is for teaching and learning... and Facebook shows me how important this extra family time is for many of you. 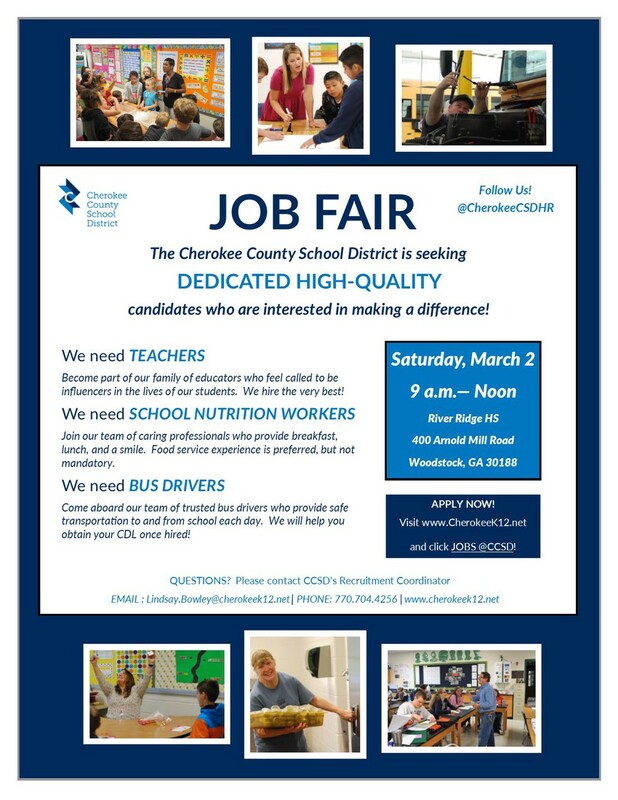 JOB FAIR: If you're looking to join the best organization in metro Atlanta (I know I'm biased, but I truly believe it), we're hiring for next school year. While our employee retention rate is among the State's highest, we anticipate several hundred vacancies due to retirement and student enrollment growth. Please check out the flier below or click here for more info on our annual Job Fair on March 2. 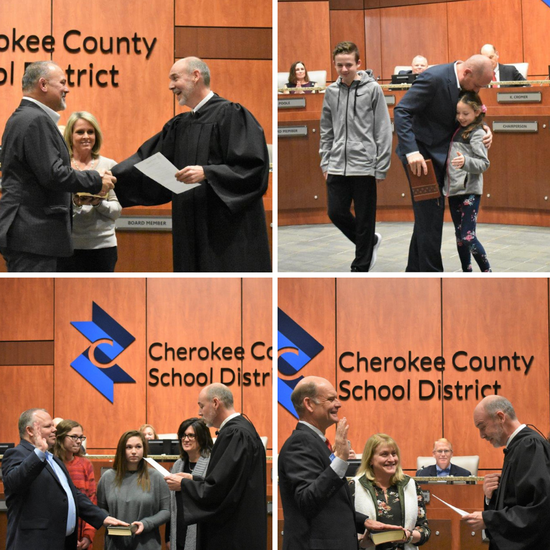 SCHOOL BOARD: We have an outstanding School Board, and, last month, we were happy to see four veteran members take the oath of office to serve another four years. Please join me in thanking Mike Chapman, John Harmon, Clark Menard and Robert "Rick Steiner" Rechsteiner for their service. Those are pictures of them above this letter. SCHOOL CHOICE: CCSD has long championed school choice, and our inclusive programs have earned National recognition. We offer families choices through our reassignment program, which allows for transfers to any school with classroom capacity (For next school year, half our schools are open! Applications are accepted Feb. 1 through March 1; click here for details); our electives choice program, which allows for high school transfers for a specific a course offering, such as automotive mechanics, not offered at a student's "home" school; our STEM and Fine Arts Academies, which offer elementary school students unique options; and our high school work-at-your-own pace daytime and evening programs, ACE Academy and Polaris Evening School. These are "school choice" programs you can trust, as unlike for-profit charter schools or private schools, we're committed to transparency and accountability... which you can read all about in the new edition of our annual Education Choices report. 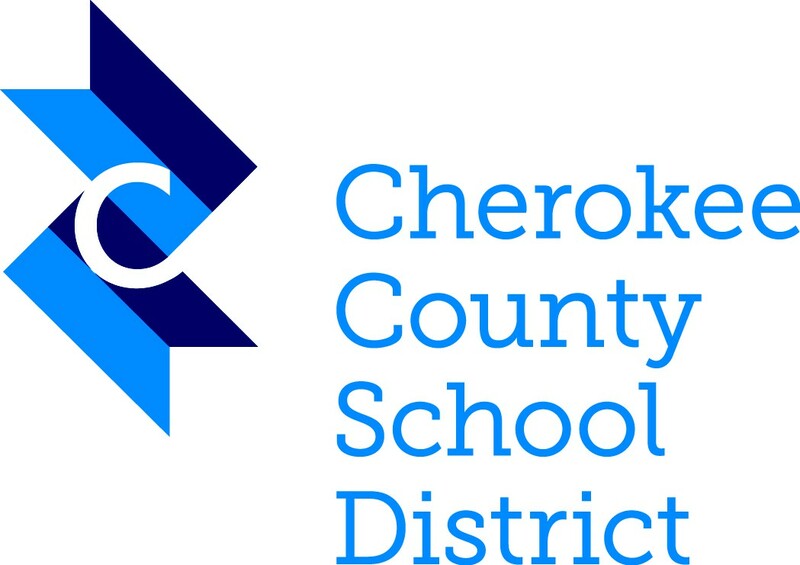 The Cherokee County School District continues to earn high marks from the State for its financial efficiency, tying for the best rating among metro Atlanta counties in the State’s Financial Efficiency Star Ratings. 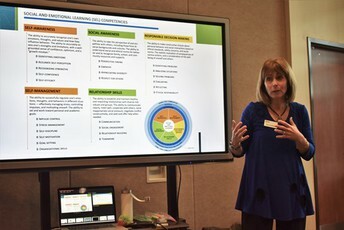 CCSD is continuing its efforts to provide greater training for teachers and staff to help students in need, including a new Social Emotional Learning initiative focused on its impact on student attitude, behavior, and achievement. Online registration is underway for new kindergartners for the 2019-20 school year! 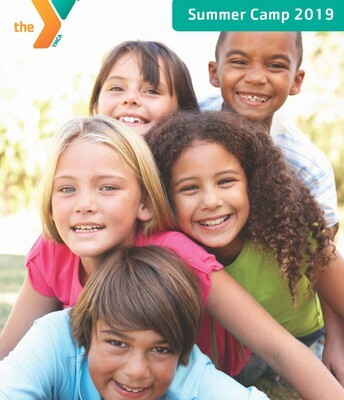 The Gateway link is here, and check out our Ready for Kindergarten report for an overview of what they will learn. 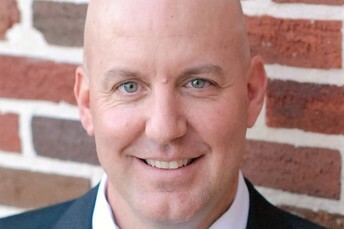 Creekview High School Principal Dr. Mark Merges is one of six finalists for the Georgia Association of Secondary School Principals’ Principal of the Year award! The award recognizes excellence in leadership, problem-solving and service. 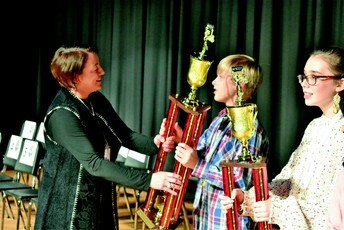 Freedom Middle School eighth-grader Braden Flournoy correctly spelled “rapacious” and then “affidavit” to claim the title as the county’s top speller at the 2019 Cherokee County School District Spelling Bee and advances to the Regional competition. 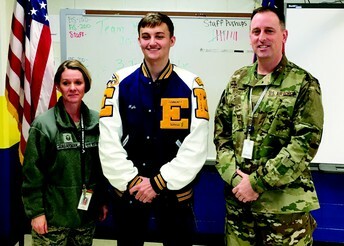 Etowah High School Junior ROTC Cadet Kyle Raffety is one of only 150 students nationwide and one of only six in Georgia awarded an Air Force JROTC Flight Academy scholarship to earn his private pilot’s license and college credits this summer. 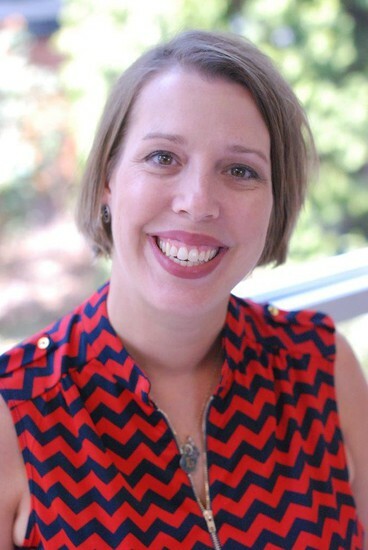 The Cherokee County School District needs a few hundred outstanding new employees every school year, and Amy Graham plays an important role in finding them. 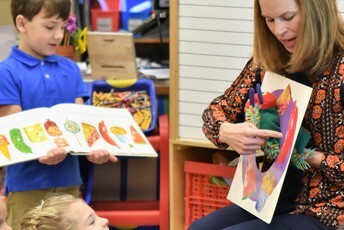 The longtime teacher and Principal took on a staffing director post in the Office of Human Resources last summer, and with fellow staffing director, Dr. Adrian Thomason, and the recent addition of recruiting coordinator Lindsay Bowley, the trio is ready to recruit and retain the best in a tight labor market. “I truly enjoy watching a recently graduated student-teacher sign his or her first contract,” said Ms. Graham, a 20-year educator who met many CCSD families in her roles as Principal at Johnston Elementary School and assistant principal at Teasley and Creekland Middle Schools. "The excitement is contagious!" While she is involved with recruiting overall for CCSD, her primary focus is on elementary school teacher staffing and hiring school nurses and School Nutrition employees. In addition to these roles, Ms. Graham is responsible for on-boarding new employees and working with colleges and universities to place students studying to become teachers in classrooms for field experience. Ms. Graham knows first-hand what makes an excellent educator and leader, as a finalist for the Georgia 2013 Assistant Principal of the Year Award and a 2016 “Top 10 in 10: Young Professionals to Watch” Award winner. 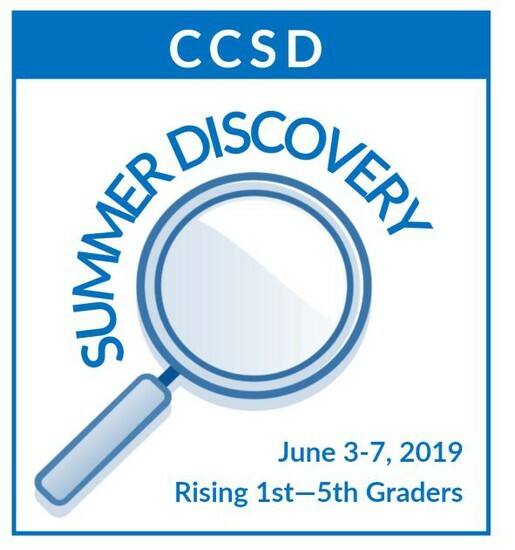 The Cherokee County School District is expanding its week-long summer enrichment program to all rising first- through fifth-graders! Previously offered as a program for specific schools, this year's fun and educational program will be offered at two campuses, Hickory Flat and Liberty Elementary Schools, and open to CCSD students -- no matter the school they attend. Two sessions will be offered each day from June 3-7 (9 a.m. to noon and 1 to 4 p.m.), and students can enroll in one or both (students who enroll in both will have time to eat a lunch brought from home on campus). Parents will need to provide transportation for their students, as well as lunch; before- and after-care is not provided. More details -- including course offerings and costs -- will be shared with parents of elementary school students soon! CCSD's award-winning School Nutrition department shares a monthly recipe from a school menu item. 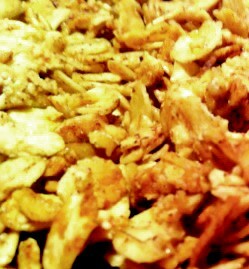 Check out this month's recipe for homemade granola used in our yogurt parfaits. 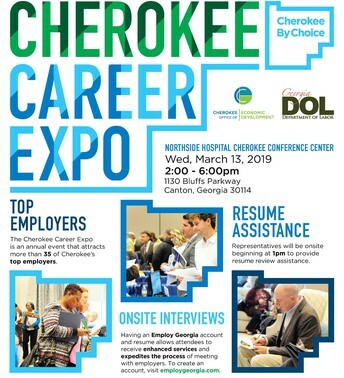 Cherokee County's Office of Economic Development will present its annual Cherokee Career Expo on March 13 with information about opportunities for all county residents including our graduating seniors! 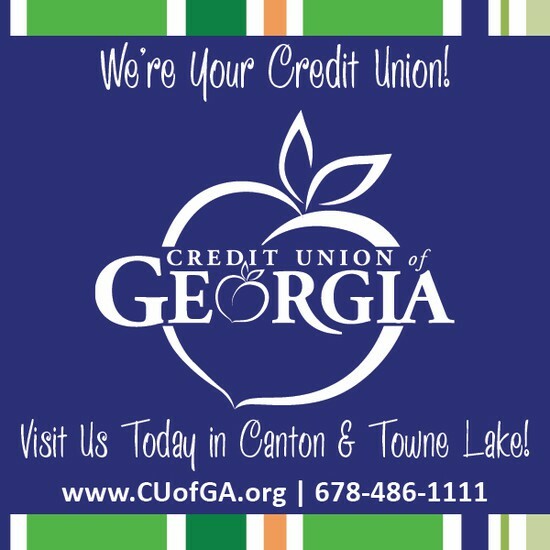 Our online Bulletin Board is a year-round resource for parents looking for community information, and now is the time when we begin posting summer camp registration details for partners like the Cherokee County YMCA. Jan. 31 & Feb. 1: 7 p.m., River Ridge HS, Academy Street Theatre Group's (CCSD's K-12 drama program) production of "The Dragon King"; Admission $5. 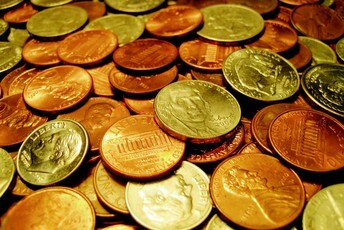 Feb. 4: Registration begins for CCSD's Georgia Lottery Pre-K program and continues through March 1; seating is limited, and a lottery drawing will be held March 6. Feb. 12 & 13: 7 p.m., Cherokee HS, Cherokee High School’s production of the musical, “Seussical Jr."; Admission is $5. Feb. 18-22: CCSD Schools closed for February Break. The CCSD School Calendar is posted online here. March 2: 6 p.m., Cherokee HS, The school's Beat Out Cancer Club's "Georgia Has Talent!" show fundraiser for the Dana-Farber Cancer Institute (silent auction begins at 5 p.m.). Admission is $7-$10.